When you run your own training business, it can feel like there are a million and one demands on your time. As well as delivering the training itself, you probably wear many different hats: administrator, marketer, bookkeeper, customer service rep, accountant and more. The thought of taking time off for Christmas, school holidays or – gasp! – a well-deserved break might bring you out in a cold sweat. How will your trainer business keep going without you? To help relieve the pressure, I’ve put together some of my top tips for automating tasks within your business, especially if you don’t currently have the resources or inclination to outsource specific jobs. Facebook business pages have a handy tool that lets you schedule your Facebook posts weeks in advance. Try planning out a month’s worth of posts in an Excel sheet or a Word document and then copying and pasting them into Facebook’s scheduling tool. That way, you can look like you’re active on social media even if you’re lounging on a beach with a good book and a cocktail. There are a number of services that let you schedule content across a range of social media platforms so that you’re able to manage everything from a central dashboard and post weeks in advance. If you send out a marketing newsletter using an email marketing service such as Active Campaign or Mailchimp, you’ll notice that you can schedule emails in advance. If you’re going to be out of the office, you could even schedule several newsletters to go out, so that there’s no break in continuity when you’re taking a break. The same goes for your blogs, which you can schedule to go live on a future date. Again, this can make it look like you’re publishing fresh content when you’re taking time off. Your readers won’t even need to know you’re not at your desk. Your blog articles represent a large and often under-utilised resource. People may have missed a blog when it was first published, so it makes sense to re-publish old content to bring it to new members of your audience. Also, although I should say that I haven’t used it myself, I’ve been told that the Editorial Calendar plugin for WordPress is a handy tool for planning and scheduling blog posts in advance and even moving around their publishing date with a ‘drag and drop’ function. One of the most effective ways I’ve found to streamline and automate aspects of my bookkeeping is to use online accounting software, such as Xero, Kashflow or Quickbooks. Many of these systems can be linked to your business bank accounts, CRM software, PayPal and more. In addition, you are able to turn approved quotes into invoices, automatically generate chase-up letters and reports for your tax records. Your accountant will be able to log straight into the system to for the purpose of completing your annual tax returns. Plus you can see your most profitable clients at the touch of a button, as well as tracking loan payments and identifying late paying clients. Using your email marketing software, it’s also possible to publish a lead magnet such as a free ebook or paid-for audio file and trigger a series of autoresponders that walk people through the sign-up journey on to your mailing list. If you have items people need to pay for, such as an online course or webinar, payment can be automated too so that clients can buy from you at any time of the day or night. This means you can still make money, even when you’re on annual leave. 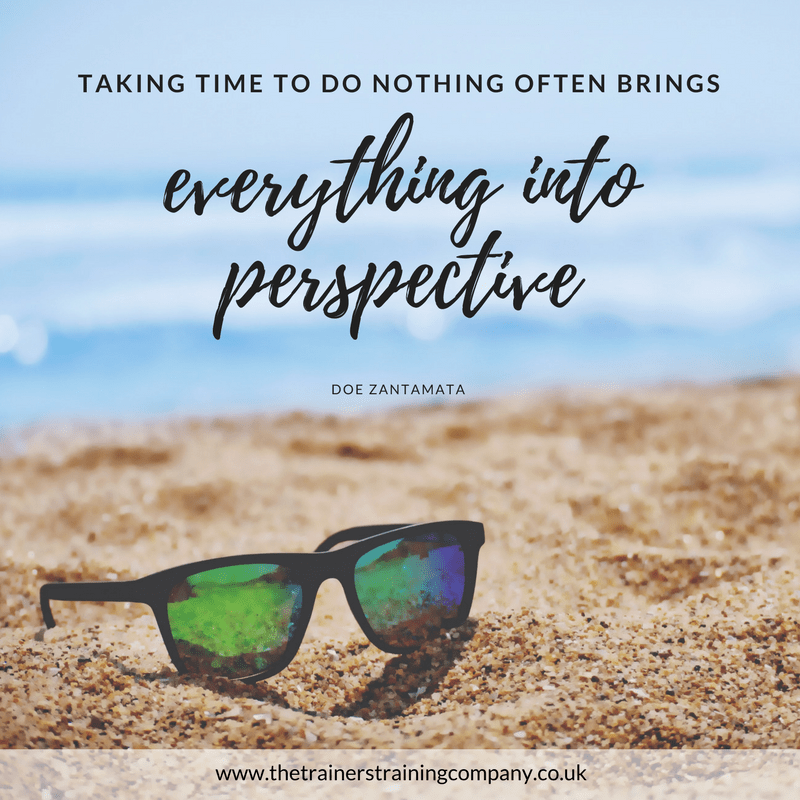 Having figured out ways to automate your business and take the pressure off during your break, all that remains is to enjoy the downtime. And remember, you can keep up the automation even when you’re back in the office so that you can spend more of your precious time with clients or building your training business. Do you have any favourite tools for automation? Do you currently automate any tasks within your business? Perhaps you prefer to outsource rather than automate? I’d love to hear your thoughts in the Comments below. If you need some pointers about incorporating online training into your business, including provisions that can be automated, you can access my 60-minute webinar ‘How to get started with online training’ for just £29. It’s packed full of practical advice and recommendations.